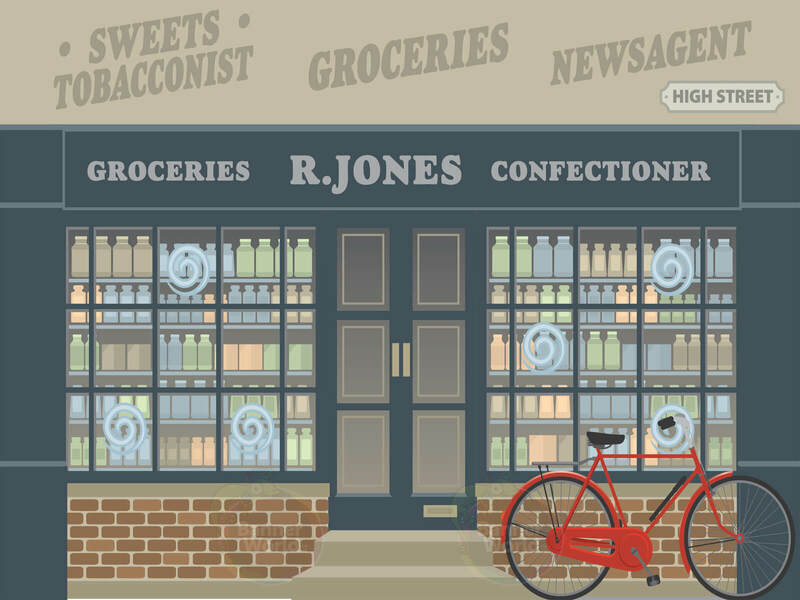 Our stunning Grocers dementia friendly wall mural can be applied to any smooth wall just like normal wallpaper. Specifically and carefully designed to enhance and improve Dementia and Alzheimer’s environments for patients, staff and visitors. As standard this mural measures 3200mm wide x 2400mm high but can be adjusted before printing to fit an exact size. We can even alter the shop name to suit your own requirements if necessary – at no extra cost. Ideal for communal areas such as lounges, receptions and dining areas, this subtle yet colourful traditional Grocers mural will aid reminiscence amongst patients. Consider adding physical structures in front of this mural to encourage engagement. A table with a basket of fruit would be ideal!